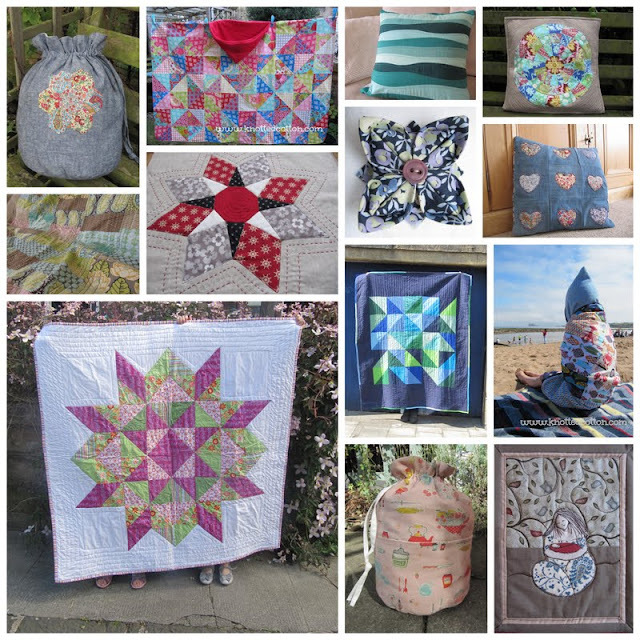 This time last year I had only had a blog for a couple of weeks and had just made my first ever quilts using machine piecing. ... and I have 'met' some really nice fellow bloggers. I'd like wish you a very merry time over the holidays and a fantastic 2013. Merry Christmas to you too Catherine and here's to a productive 2013! And a Merry Christmas to you to - hope you manage to get a bit of 'chilling' time this holiday and do a bit of quilting! Gosh, you've had a productive year, hope 2013 proves equally crafty. Merry Christmas and Happy New Year! Merry Christmas Catherine! You had a very productive year. I'm so glad to have met you. Have a wonderful time during the holidays and see you in 2013. Happy Christmas! Can't believe you've only been blogging a year, you've done so much! Great mosaic-esp love those solids projects. The watery cushion is fab! What a wonderfully productive and creative year for you! Merry Christmas! Congratulations on your first year!! Have a wonderful Christmas!